The Name of the Wind but in space. Hadrian is the first son of Lord Alistair, destined to succeed him as the head of the House Marlowe and Archon of Meidua Prefecture on Delos, and to live a relatively easy life with a several centuries life-span. Or at least that's what he thinks. He ends up destroying a Sun, snuffing billions of lives (humans and aliens alike) and obliterating an entire race instead. "The light of that murdered sun still burns me. I see it through my eyelids, blazing out of history from that bloody day, hinting at fires indescribable. It is like something holy, as if it were the light of God's own heaven that burned the world and billions of lives with it. I carry that light always, seared into the back of my mind. I make no excuses, no denials, no apologies for what I have done. I know what I am." Christopher Ruocchio's debut is an exhilarating read full of intrigue, tension, exciting action sequences and impossible situations. It's a story about love and hate, survival and absolution, ideas and values. Αn autobiography of someone bigger than life. The rise and fall (or fall and rise?) of a God amongst mortal men. 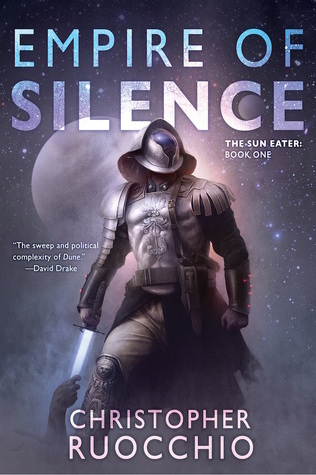 Empire of Silence is a nicely crafted novel with an intricate and well-thought-out plot, a propulsive narrative, and a smooth-as-silk prose with lovely and lavish descriptions. While it's a hefty book, Ruocchio has made use of every single page either to explore and expand his universe or to develop and flesh-out his characters when he doesn't move the story forwards. The story itself is original, gritty, grim and intimate, with a steady pace that keeps building momentum up until the very finale. 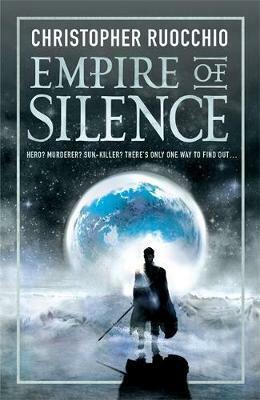 All in all, Empire of Silence is an excellent SF story and a book to look out for. Out on July 3, 2018.